You may scoff at the thought of boxed wine (or at least hide it in the back of your fridge before guests come over for dinner—hey, we've done it too! ), but wineries are giving us reason to mock no more: They’re popping up with quality, even highly-awarded boxed wines. 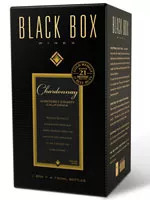 Black Box Wines, for example, has received 17 Wine Enthusiast “Best Buys.” Not too shabby. Our main concern: What does boxing do for the flavor? 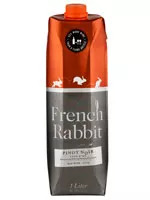 After doing some digging, we’ve found the packaging doesn’t have an effect on the taste—the biggest influences, of course, are the region where the fruit is grown and the style in which the wine is produced. From a health standpoint, we like that because you can pour yourself just one glass for dinner, without the worry that the whole bottle will go bad (which otherwise may lead to overindulging). Another box perk: They're eco-friendly, as boxes are simpler than bottles to transport (you can fit more in a truck) and are easier to recycle (glass isn’t renewable like paper). So while it may be too soon to put a box in the center of your table at a dinner party or bring one as a hostess gift, it’s definitely time to move aside your Greek yogurt and orange juice, and display a high-quality box for all to see in your fridge. They stake claim as the first premium boxed wine. Our pick: Monterey County Chardonnay is one of their most popular wines, with its tropical fruit aromas (think pineapple and banana) with hints of creamy oak. Pair it: The tropical scents complement grilled prawns with salad greens and warm goat cheese. The first U.S. wine to be packed with Tetra Pak, a super eco-friendly carton. 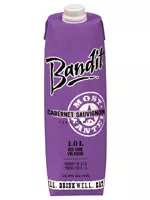 Our pick: Their Cabernet Sauvignon is toasty, with blackberry and oak notes. Pair it: A warm pasta dish (great for chilly fall!) with a hearty Bolognese sauce is the perfect complement. Part of the Boisset Family Estates, this is the first boxed label in their portfolio of wines. Our pick: A great Pinot Noir in a box? Yes, it’s possible! With hints of fresh raspberry and strawberries, it’s pleasant on the palate with just a touch of acidity. Pair it: Grilled salmon or pork will play off the wine’s flavors, without overwhelming.